Kids generally luck out by not having to pay the mortgage or the electric bill out of their weekly allowance, but that doesn’t mean they don’t worry about money. 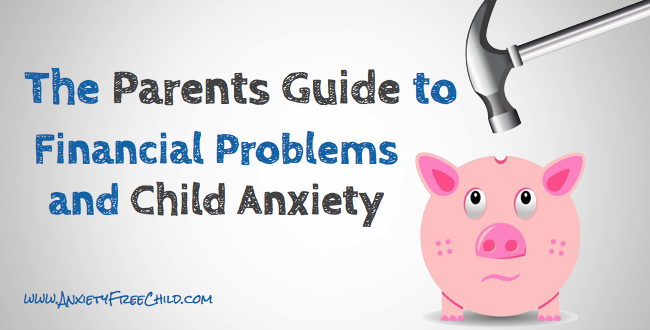 A family’s financial problems can definitely affect an anxious child’s state of mind, making his or her anxiety symptoms more prominent and any related issues more severe. Parents whose children have suffered from anxiety from a young age may not find that fact particularly newsworthy or new. But what may be newsworthy is the increasing rate that more and more children are being treated for anxiety issues as the financial state of the world continues to teeter. “…Children are coming under increasing stress because of unemployment, financial problems and substance abuse among their parents,” according to the BBC article. 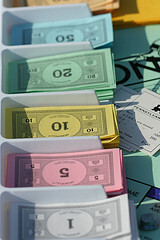 America’s financial woes may be even greater than Great Britain’s. And while it’s one thing to read about the world’s financial mess, it’s completely different to experience your own. A variety of studies here the U.S. have examined the relationship between anxiety disorders and households with low incomes or “unsatisfactory financial situations.” Two independent studies published in the Archives of General Psychiatry suggested, with a few exceptions, such an association holds firm. Keeping financial problems a big secret from your anxious child can backfire if you suddenly have to move or make other changes that the child doesn’t understand. It also leaves no explanation as to why your child can’t go to summer camp like Sally does or have the latest, greatest dirt bike like Brian does or perhaps even attend a birthday party when your family has no funds to buy a gift. It’s also unwise to make promises you cannot keep, like assuring your child you’ll have a new job tomorrow or you’ll be living in a mansion with a pool by the end of the month. Being honest is the best way to deal with financial problems, but you should still edit your discussions with your child so they are age-appropriate and free from the goriest of details. Explain to your child that money is tight and why. But also explain it is not the end of the world and you’ll be there for him or her no matter what. Several other tips from North Dakota State University’s Family Science and Family Economics departments can also help. Make lemonade. Here’s where that proverbial “When life you gives you lemons…” adage can come into play. Instead of focusing on all the problems your tight finances are bringing, focus on transforming the situation into a learning experience. Sure, it may sound kind of corny, but it can also make the family even stronger by having everyone work together to see how much fun they can still have and love they still share when money is lacking. Show them, through your actions, that money is not the glue that holds the family together, nor is it the thing that truly makes the world go round. A tough financial situation can also help you teach your children the value of money and how to budget or most wisely spend their own funds. Find low-cost ways to have fun anyway. Your family may not be able to afford a night at the movies or a fancy dinner at a restaurant, but you can still rent a bargain DVD or bring a basket of sandwiches to the park. Try inexpensive activities like a family bike ride, hike or free concerts. Look for free or low-cost community events in your local paper. Work on creative craft projects using items around the home or collected on your family hike. Play board games, read books, volunteer as a unit at your local animal shelter. In other words, enjoy each other’s company in a good, old-fashioned way without needing an expensive activity as a crutch to do so. Boost up the family love and unity meter. One of the reasons financial matters can create so much stress and anxiety is because they generate fear. Fear that you may lose your home, your friends or even each other. Setting time aside for open communication and discussion among family members can help you feel more unified and stave off fears that money woes could have a bearing on tearing your apart. Keep your children appropriately in the loop of what’s going on financially and reinforce that they are deeply loved as well as appreciated. Let everyone have a say in money decisions. Maybe you don’t have the cash to fly across the country on your next family vacation, but you can all work together to find a low-cost local vacation or day-trip option. Camping, anyone? Letting your children have a say on how household money is spent, to an extent, lets them feel like they’re doing something to help. If they can do something to help, that makes the situation even more beneficial. Encourage contributions as appropriate. 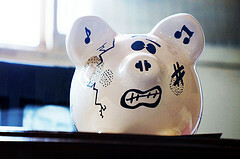 Don’t turn down your teen’s offer to get a part-time job to help the household finances. Let them help if they want to and can! While you shouldn’t force your child into labor to pay the electric bill, you can discuss ways all family members can contribute their time or resources to help the family stay afloat during even the bleakest financial times. Canino G, Shrout PE, Rubio-Stipec M, et al. The DSM-IV rates of child and adolescent disorders in Puerto Rico. Arch Gen Psychiatry. 2004; 61:85–93. Vega WA, Kolody B, Aguilar-Gaxiola S, et al. Lifetime prevalence of DSM-III-R psychiatric disorders among urban and rural Mexican Americans in California. Arch Gen Psychiatry. 1998; 55:771–8.